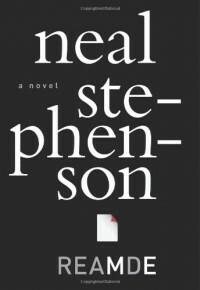 I enjoyed reading Reamde, but don't feel like it scratched my Stephenson itch. The story was good, and exciting, I liked the characters, for the most part, and even thought the ending was a bit more solid than Stephenson sometimes pulls off. But...I miss the info dumps. I love the fact that, when I read one of his novels, I come away not only entertained, but educated. I love the fact that (other) Stephenson novels make me think about concepts and issues that I hadn't, before. That Reamde didn't give me that is a real disappointment, and I hope it doesn't signal a permanent change in writing (or, is it editing?) style. Maybe this change makes the novel more accessible to a broader audience, but it would really ruin my enjoyment of one of my favorite authors, should it continue in the future. I don't know where I'd get that fix, if Stephenson was no longer providing the goods. I wish I could have half stars, because though I did really enjoy it, I'd take a half star off for not living up to my expectations.